Unfortunately, we are in a world that is sleep-deprived. In the generations past, people used to sleep around ten hours every night, but these days it is an average figure of 6 hours a night. Studies have revealed that millions of people sleep lesser hours regularly and all of them suffer from sleep-deprivation problems. Sleep is that time when your body goes into a recovery mode, it repairs itself and heals the tired organs. Too much of sleep deprivation can even lead to psychosis and other related psychological problems. How does sleep influence your health? Recent studies show that increasing the amount and quality of your sleep can have a more impactful effect on your overall health, even more than dieting and exercising. People, however, in general, do not relate sleep with overall health and the body’s well-being. It is essential to understand the various stages of sleep cycles like, for instance, REM and Non REM sleep cycles, only then you can realize whether you are getting a good night’s sleep or a rather bad night sleep. The result of sleep deprivation is quite diverse. Moderate sleep deprivation for a long time will increase your insulin levels, increase your weight, lower metabolism, induce depression, generate A.D.D (Attention Deficit Disorder), weaken your memory, et cetera. Sleep deprivation contributes to more acute health conditions. Close to a 100,000 cases of car accidents happen annually because of young people who are sleep-deprived. Sleep deprivation increases ghrelin secretion levels in your body, and this will increase your hunger. It will lower hormones which suppress hunger like PYY. Many people do not realize that having a good sleep is related to having a good quality mattress. Your mattress’s quality can have a significant impact on the way you sleep. 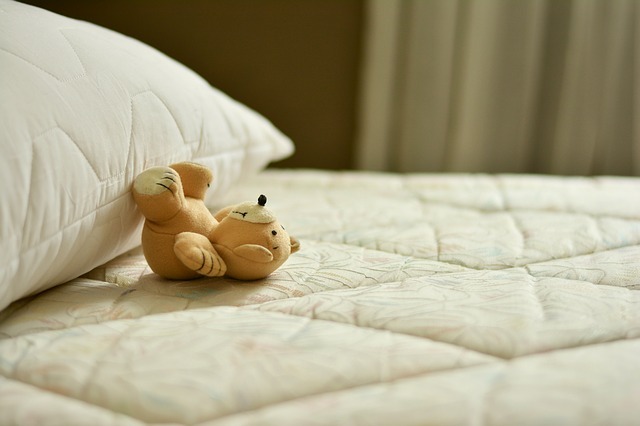 Poor quality mattresses expose you to chemicals, dust mites, toxic glues, fire retardants, and allergens which can hinder sleep and generate unfavorable effects on your health. A first-class mattress is essential for the prevention and also to take care of a problematic back. Many people develop severe spinal and neck problems from continued sleeping on the wrong mattress. Neck pains can be severely accentuated because of a poor quality mattress. Mattresses which are too hard can have similar adverse effects on people with spinal problems as well. Hover, a good mattress will make you feel comfortable and induce you to sleep easily. You will feel comfortable and not toss and turn about throughout the night. A good mattress will adjust itself to the way your body shape and position is during the time you sleep. Deals on Black Friday 2017 are a great time to buy a new mattress for yourself and your family and thus, gift them the incredible blessing of a good night’s sleep. Humans require around seven hours of sound sleep every night for a healthy lifestyle. Lack of sleep can be detrimental to one’s health. A good mattress can be instrumental in helping you catch a good wink at night; right mattresses will make you feel more comfortable and ease your back pain and help you get proper rest.